This offering is by appointment only. 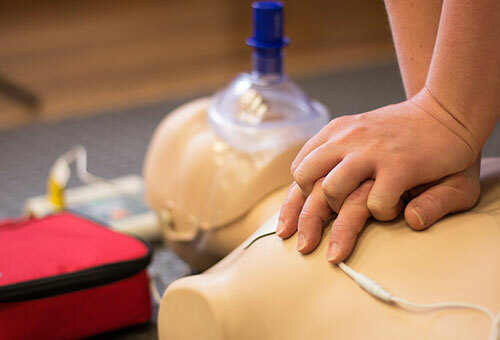 You will be scheduled individually with a Heartsaver/BLS/First Aid instructor for your skill exam. First complete your online course through www.onlineaha.org/courses (additional fees will apply). Then contact the FVTC EMS Department via email at AHATrainingCenter@fvtc.edu to schedule your appointment to test the psychomotor skills. You must present your online completion certificate prior to testing. An electronic AHA eCard will be mailed upon successful completion of the exam AND payment of all fees.